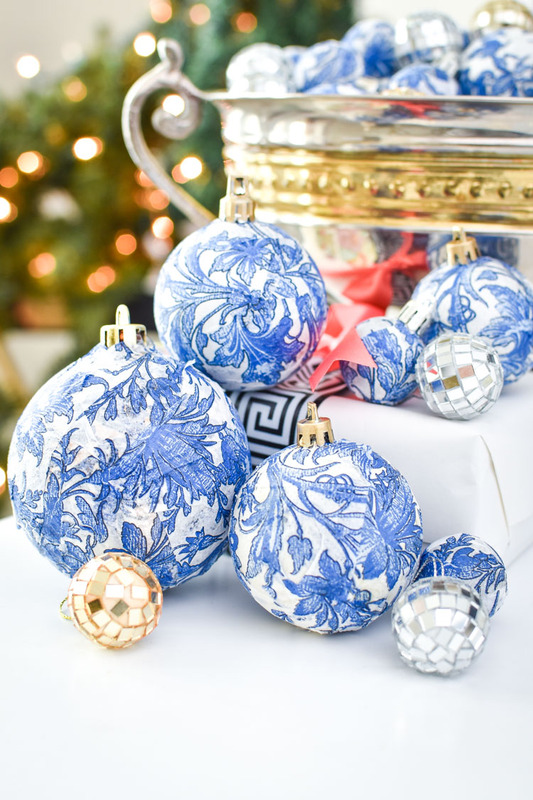 I LOVE how these DIY Dollar Tree blue and white chinoiserie mod podge (aka: decoupage) Christmas ornaments turned out! Talk about budget friendly decor for the holiday season, and I have the full tutorial for you all below. 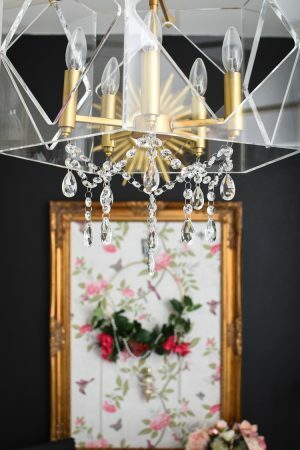 This is part of the Dollar Store DIY series hosted by my friend Rachael from This Is Our Bliss, and there’s plenty more holiday decor inspiration you can peruse at the end of this post. 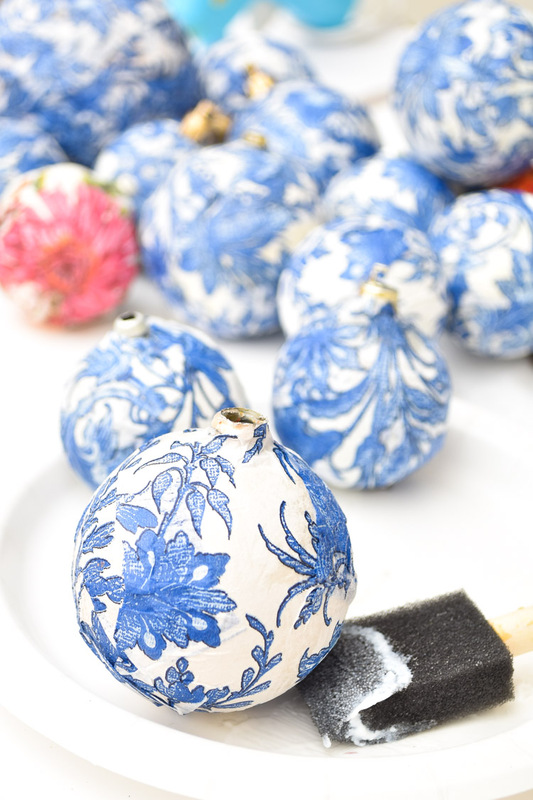 The great thing about this particular ornament tutorial is that you can apply it to ornaments of all sizes. 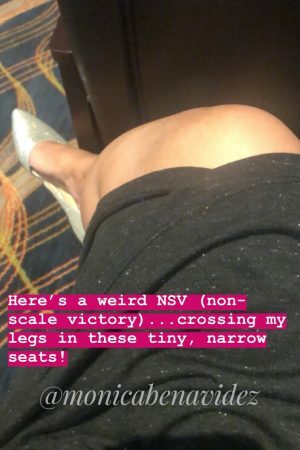 I include examples of four different sizes in this post. The other fun part is that the supplies to make these are super cheap, so you can make a ton of them to use as vase filler, gift tag adornments, ornament wreaths, placecards, etc. 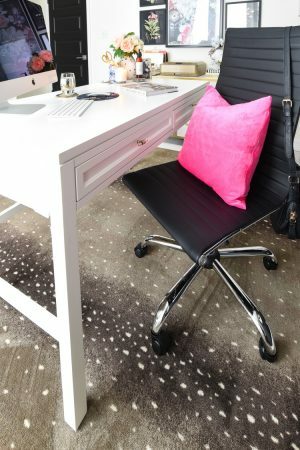 Tons of options, super easy, and you literally cannot mess these up. 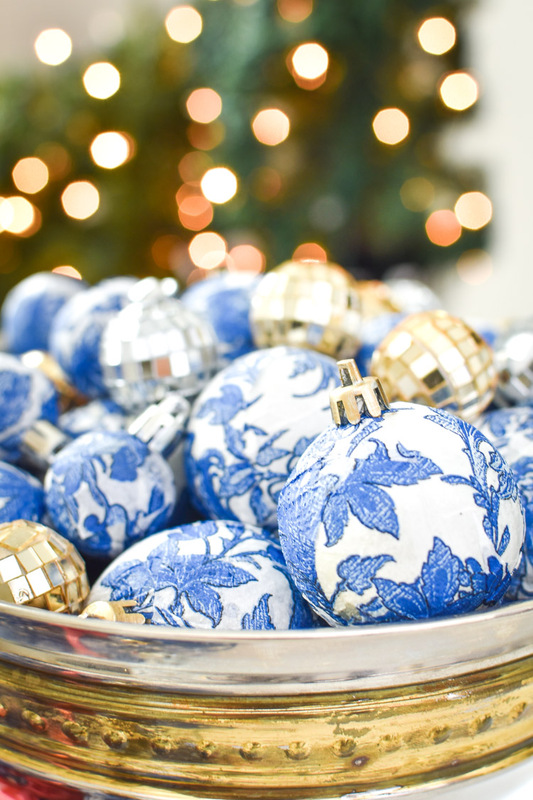 -I recommend using silver or white ornaments because the color of the ornament will peek through. 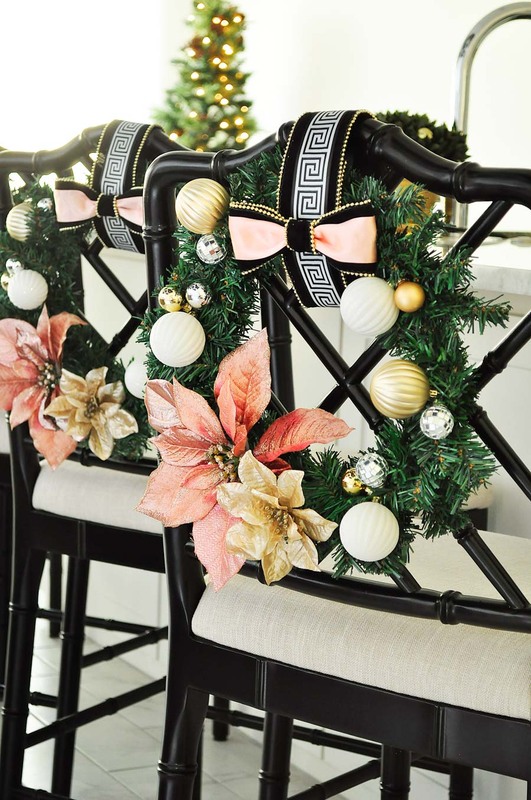 If you want a slightly warmer hue, gold or bronze ornaments work better. 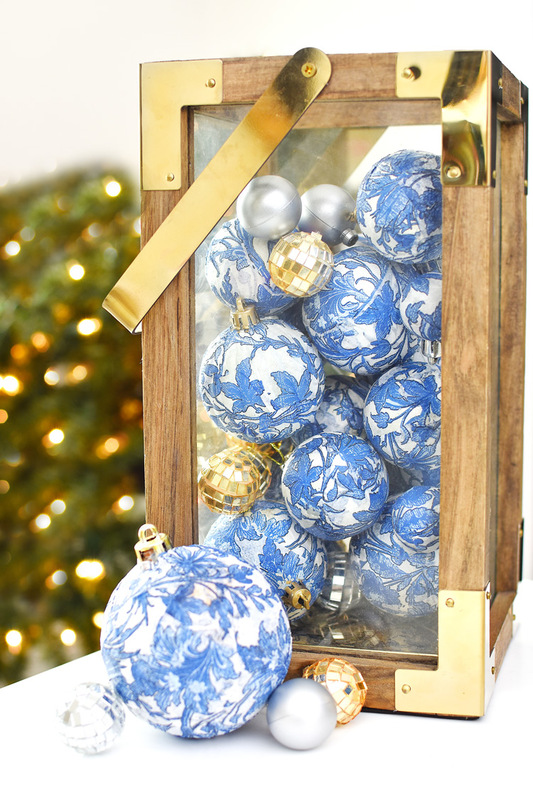 -Stick to shatterproof ornaments that are smooth (not textured). -Embrace that these will be imperfect. 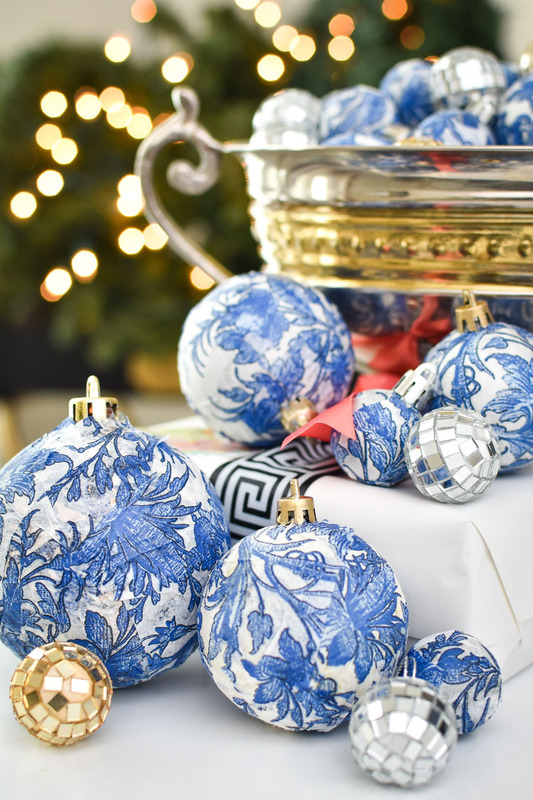 And now here’s the supply list and step-by-step process of how to make these blue and white ginger jar inspired Christmas ornaments. 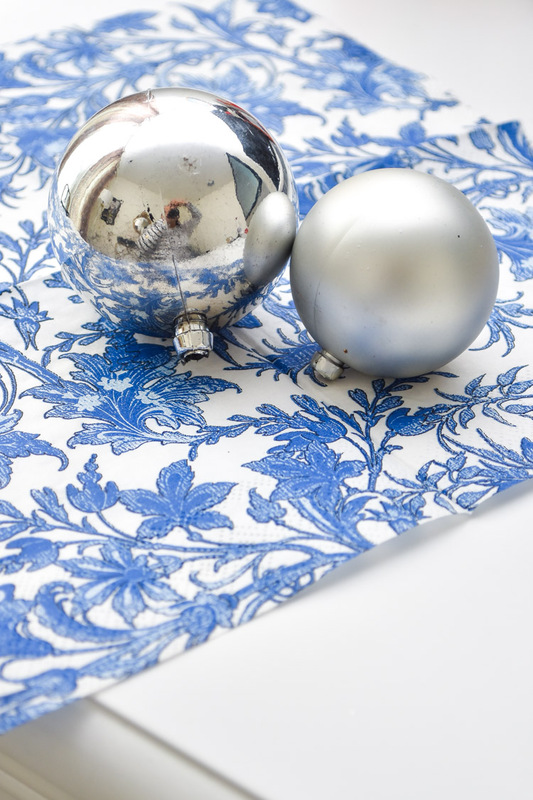 Step 1: Pop off the ornament topper from your ornament (set aside for now) and remove the white layers from your napkin so you’re left with the single ply layer that has the design on it. 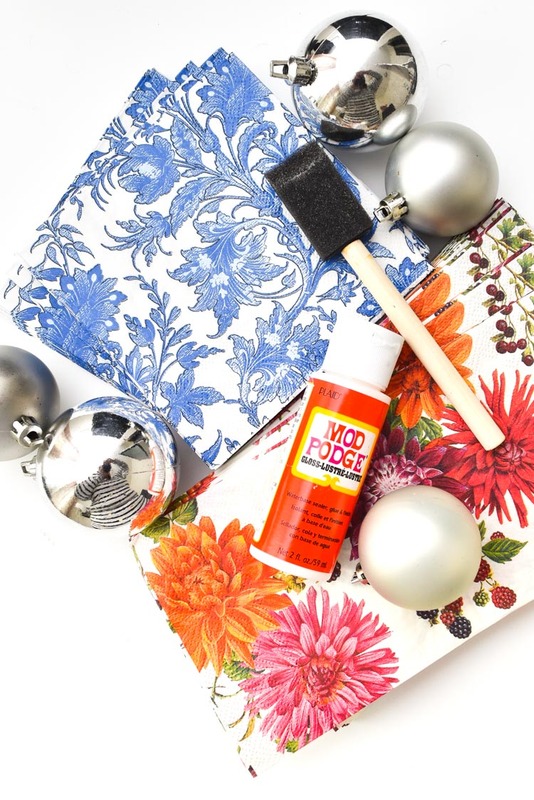 Step 3: Pour some Mod Podge onto a paper plate and using a craft brush, brush a light, thin layer onto the ornament surface. This stuff dries FAST, so you want to then immediately place a small napkin section and glue into place. If the glue dries on you, simply brush on another layer. 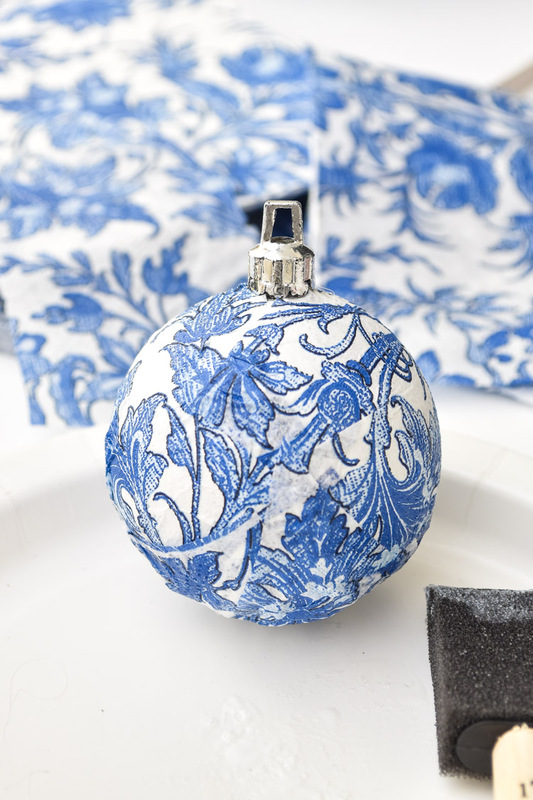 Step 4: Repeat this process until your whole ornament is covered- you may need to fill in bald spots with smaller pieces of napkin. I HIGHLY suggest cutting the small pieces with scissors and not simply tearing the pieces so you do not end up with fuzzy edges. I also found it helpful to gently cup the ornament between both hands to help “round” out the shape and get the napkin pieces flat. Step 5: Apply some hot glue to the top of the ornament to secure the ornament topper into place. Dollar Tree ornament tops tend to pop off easily, so this will help keep them on there. Step 6: Optional, BUT, I then took my most gold leafing pen and colored the ornament topper in a gorgeous layer of satin gold. I left the super small ornaments with silver tops for contrast. And that’s all there is to it, friends. I made all of these in under an hour one evening when I couldn’t sleep. The little disco ball looking ornaments are also a Dollar Tree find. They come six to a pack for $1. 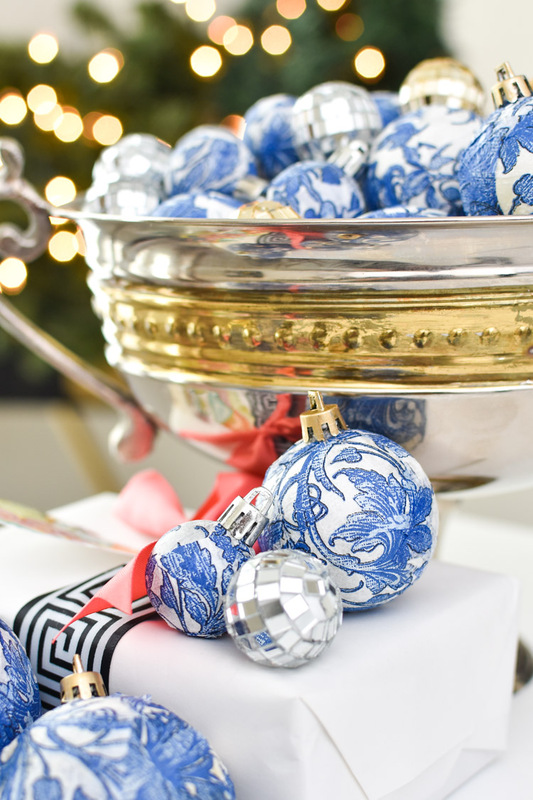 Chinoiserie and ginger jar holiday ornaments can be expensive (such as these beauties for $75 for SIX). I was able to make over 40 of them for under $12 or so. 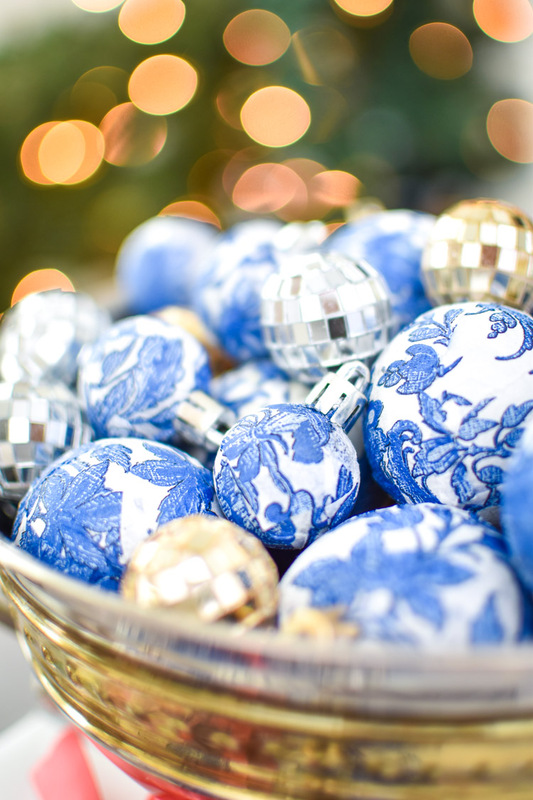 The crisp blue and white pattern is busy enough that each ornament is unique and beautiful. I cannot wait to use these on one of my three Christmas trees this year- I’ll be showing you all the first one on November 12! And here’s another display idea for these beauties- they seriously look good no matter how you use them. 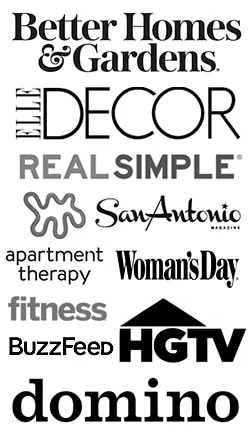 I also have tons of thrifty and glam decor ideas in my holiday home tours. Thank-you so much for sharing your craft. With your good instructions even I expect these to turn out well, and help make Christmas merrier! You are so very creative…I love it! I’m trying it! Thanks! These are fabulous, I love how they turned out. I have all the supplies too, I am definitely going to try this soon. You knocked these out of the park! Absolutely beautiful! 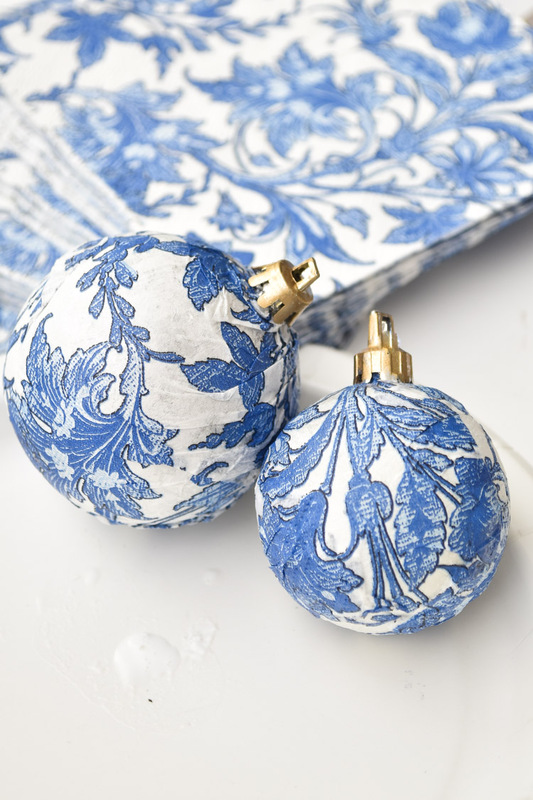 These ornaments are so beautiful. Love them. I love these so much!! I need to get some of the Chinoiserie in my home! This could really be a cheap and effective way to start! Love it! Beautiful! Such a classic pattern!